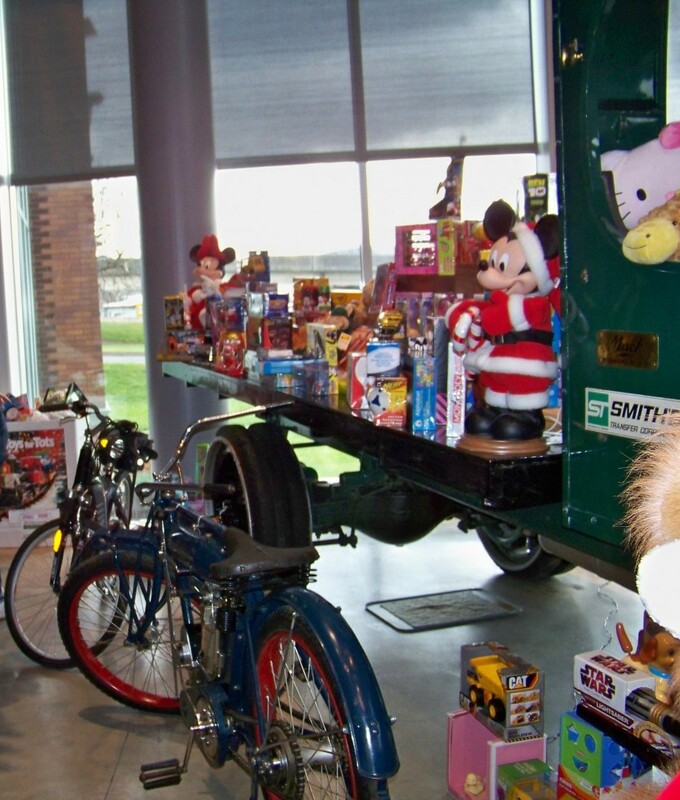 America On Wheels Museum is a TOYS for TOTS drop-off site. Bring a new, unwrapped toy and it will be placed on the special truck for delivery to CHILDREN in NEED. Marine Corps Reserve Units, located throughout the nation, conduct toy collection and distribution campaigns in the communities near their Reserve Centers each year. To expand the nationwide coverage of Toys for Tots, the Marine Toys for Tots Foundation authorizes Marine Corps League Detachments and Local Community Organizations (LCO’s) to conduct Toys for Tots campaigns in communities without a local Marine Reserve Unit. Campaigns begin in October and last until December 22nd. Caring Americans drop off new, unwrapped toys at collection receptacles located in local businesses. Local Toys for Tots Coordinators pick up, sort, and store these toys in a central warehouse. As Christmas nears, Marines distribute toys to less fortunate children on Christmas Day. While Marines and LCO’s organize, coordinate, and manage the program, the ultimate success depends on the support of the local community and the generosity of the people who donate toys. Local business leaders play a key role by allowing Marines to locate collection receptacles in their stores; by providing free warehouse space during October, November, and December for sorting and storing toys; by providing vehicles to collect toys from collection sites; by sponsoring toy raising events; and by helping Marines receive maximum media exposure for Toys for Toys.